(2) there will be no complex diagrams illustrating wave forms, displacement anti-nodes, or similar points. For those of you, including second year students and course repeaters, who have questions, comments, or inquiries into the deeper and darker mysteries of this topic, be advised that I will be absolutely delighted to answer your every question if you will only address me at the email address given at the end of this article. HARMONIC: an element whose frequency is a whole multiple of that of a given fundamental frequency. Harmonics are considered to be in tune. PARTIAL: an element whose frequency lies outside the harmonic series. These pitches are not considered to be in tune, but add color to the sound. It’s now appropriate that we carefully examine what is (and what is not) going on inside the bore of the saxophone as we produce a sound. It’s true that a saxophone is commonly known as a “wind” instrument, but maybe that’s not entirely correct. Yes, the air inside the horn is the medium through which the vibrations created by the reed are transferred, but the actual method of transfer is often misunderstood. What actually happens is that each molecule of air acts on the adjacent molecule, causing the circulation of the wave among the molecules. The pressure from the breath actually serves only to make the reed vibrate. Of course, when the air molecules rub against each other and interact, some of the energy is lost through friction. Of course, the famous law of conservation of energy prohibits the energy from being actually lost. In reality it is converted to heat. As the air molecules heat up, they become less resistant to the transfer of energy, so it’s not your imagination at all that your horn actually plays better after it “warms up” after a little playing. The waves with the lowest frequency have the most energy. They carry further, and tend to travel in concentric circles. High frquency waves behave in the opposite fashion: they tend to be very directional in their travel and transmit little energy. Now, let’s take a look at what happens when the wave travels down the length of the bore. In this simple example, we’re going to assume that our bore is an even cone with straight walls, open at the “large” end (the bell) and closed at the small end (the mouthpiece with the reed closed). When the wave is generated by the mouthpiece, it moves down the bore toward the bell in the form of a high pressure wave. When this high pressure wave encounters the still air at the end of the bell, suction is created within the bore, and the wave reverses direction and moves back to the closed (mouthpiece) end in the form of a low pressure wave. When the wave reaches the closed mouthpiece, it reverses direction again and moves toward the open bell, this time in the form of a low pressure wave. When it reaches the open bell, the wave makes one final reverse, and returns to the mouthpiece a final time, this time in the form of a high pressure wave. So, if we count on our fingers and toes, we now know that in order for the wave to make a complete cycle, it had to travel the length of the bore a total of four times, twice in one direction (toward the bell) and twice in the opposite direction (toward the mouthpiece). Armed with this valuable knowledge, we now know that the length of the instrument is exactly one quarter of the overall length of the frequency of the wave, or one hertz. The above example, of course, assumes no tone holes. The fact of the matter is that the first open tone hole acts pretty much the same as the opening of the bell, although the effect is less pronounced for smaller diameter tone holes closer to the mouthpiece. These examples are applicable only to the perfect world, because the transmission of the wave is influenced by a wide variety of factors, including air temperature, humidity, bore diameter, instrument material, and most likely, to a lessor degree, by a variety of factors we may not fully understand, such as planetary alignment and phase of the moon! There’s a lot going on inside the bore, and a fair amount of it is still a complete mystery to us. Remember that we have multiple waves traveling in opposite directions in our bore. When two waves of equal strength coming from opposite directions collide, they cancel each other out and create what is known as a displacement node. Their pressures combine and a compression antinode is created at the same location of the displacement node. I have found it helpful to remember that an antinode always has pressure and movement, and a node is stationary or has very minimal movement. A phenomenon which occurs when the vibrations of the reed equal the the frequency of the bore is called a resonance, with both the bore frequency and the reed vibration acting on one another. There will always be a displacement antinode (compression node) at the open (bell) end of the bore, and there will always be a displacement node (compression antinode) at the tip of the mouthpiece. Enlarging the diameter of the bore at a displacement antinode makes the corresponding note sharp, and enlarging the diameter of the bore at a compression antinode makes the note flat. Reducing the diameter of the bore at a displacement antinode makes the corresponding note flat, and reducing the diameter of the bore at a compression antinode makes the note sharp. 50Hz X 3 = 150Hz 50Hz X 5 = 250Hz 50Hz X 7 = 350Hz etc. 100Hz 200Hz 300Hz 400Hz etc. This bore will play nicely in the fundamental register. If, however, we go too far, and expand our bore for a gain of 55Hz, our basic bore is now calculated on the basis of 50Hz + 55Hz = 105Hz, so the final column values are 105, 205, 305, 405 for the uneven harmonics, rather than the correct 105, 210, 315, 420 . The instrument won’t play in tune because the frequencies are not whole multiples of 105. The upper register will be significantly flat, because an instrument whose bore is too wide will always play flat in the upper register. If we were to reverse our adjustment, with a resulting smaller bore, the instrument would play sharp in the upper register. If you survived and understand the above example, let’s proceed with designing a bore which works well for multiple octaves. Keep in mind that the upper tones tend to be the most troublesome, and tend to sound flat. Also keep in mind that each and every tone hole chimney has the net effect of enlarging the bore at that point, and that every time a key is opened, the math going on inside the horn changes. We must also make significant adjustments for the curvature of the neck, bow, and bell. Now if we want to make a nice playing, very responsive body tube, we must first calculate the correct conical bore (without tone holes) to produce the note C#2 (third space on the staff), and then modify the curvature of the bore so that by merely increasing the pressure on the reed we can get a nice quality C#3 (an octave higher). Next, we must lengthen then bore so we get a D1 (below the staff), and then calculate the angle of the bore which will allow us to overblow to a D2 (fourth line). You’ll notice that the angle required for the D is different from the angle required to produce the C#. Once you begin adding the tone holes, the angle will vary further still. This, my friends, is where the art and experience come in. Trial and error is the name of the game at this point. 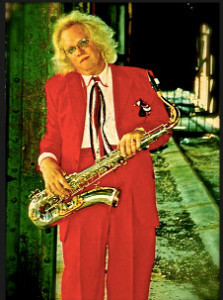 I’ll defer discussion of the neck for the time being, and refer you to my article “A Saxophonist’s Guide to Necking” which previously appeared in The Saxophone Journal and is available as a back issue from the publisher, Dorn Publications. Needless to say, the neck plays a very critical role in the tuning and the response of the saxophone. With the exception of the sopranino and some soprano saxophones, all saxophones have a curved bow at the large end of the body tube, and the bore or this section requires consideration of its curvature. Generally speaking, the diameter of the bore at the point of the bow should be less than the diameter of the body tube at the point where the bow and body tube join. Consideration must be given to the tone holes, not only their placement, but also their diameter and the height of the chimneys. Each tone hole has the effect of increasing the diameter of the bore at its location. There is also a significant difference in the effect of closed and open tone holes on the bore. Closed tone holes capture air and flatten the pitch when they are located at or near a compression antinode. The closer to the mouthpiece the closed tone hole, the more pronounced and significant this effect. They also tend to absorb the upper partials, deadening the sound. The spacing of the open tone holes is based on the D chromatic scale. The palm key notes (D3 and above) and the lower notes (C#1 and below) might best be considered “afterthoughts”. The quick and dirty figure used to calculate the placement of the tone holes is 6% (the actual number is .0594631), but as is usual with design of the saxophone, there are some variables. It is important to recognize that the 6% number only applies if the tone hole is exactly the same diameter as the bore at that point. If if is smaller than the bore diameter, as is very often the case, it must be moved closer to the mouthpiece. The open and closed tone holes respond to the frequencies of the notes in very different ways. The open tone holes allow the fundamental and first overtone to be heard at full voice, with the other harmonics being heard from the following tone holes. The relationship between adjacent tone holes is particularly critical, and great care must be exercised to see that the critical relationship between the diameter of the tone hole and the diameter of the bore is considered. Since the typical saxophone has closed tone holes for the notes G#, D#, and C#, it should come as no surprise that the voice of these notes is often considerably improved through the opening of adjacent keys in order to compensate for the long expanses of dead area surrounding these closed tone holes. Surprisingly, the size and general shape of the saxophone bell has very little acoustic impact. The only note which actually comes out of the end of the bell is low Bb, although the upper partials of most other notes also emerge there. Truly, the function of the bell is mostly aesthetic. So now we’ve had an overview of the bore of the saxophone and some of the considerations necessary for proper design. I have very intentionally omitted some of the higher math and highly technical details. This is a highly complex topic, and I do not believe it is fully understood by anyone, living or dead, in the saxophone business. I will be happy to answer, to the best of my ability, any serious questions on this or any other saxophone design topic if you will email my office at saxgourmet@cox.net. 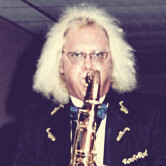 ← Why Did The USA Saxophone Makers Fail?